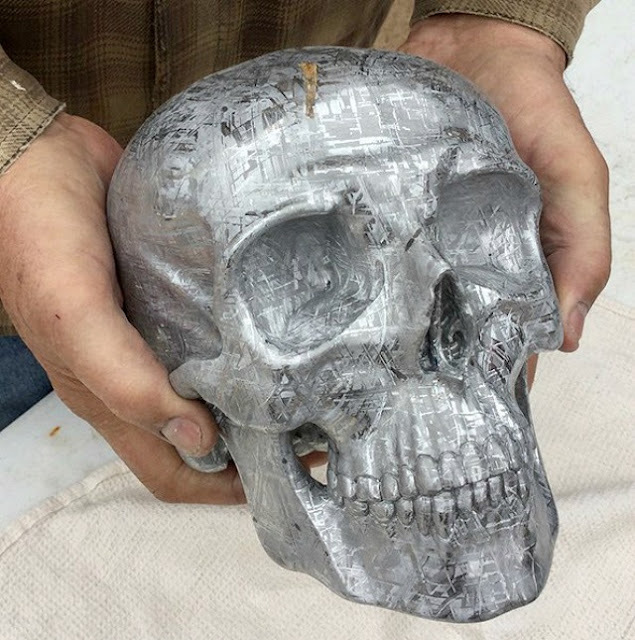 UFO SIGHTINGS DAILY: Guy Makes Life-Size Skull Carved From a Meteorite Found In Namibia, May 2016, Photos, UFO Sighting News. Guy Makes Life-Size Skull Carved From a Meteorite Found In Namibia, May 2016, Photos, UFO Sighting News. 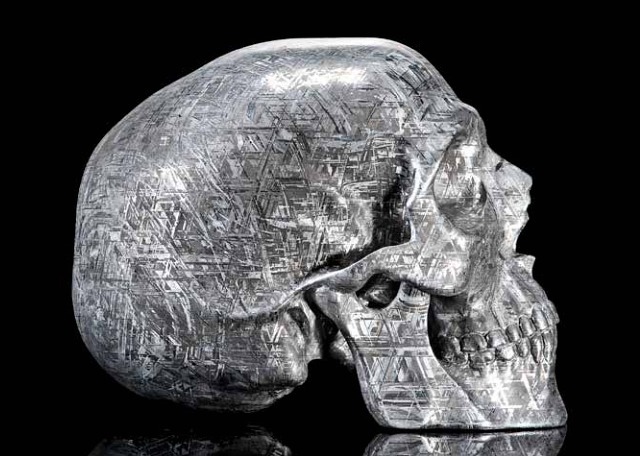 Here is something you don't see everyday, a meteorite thats been carved into a human skull. 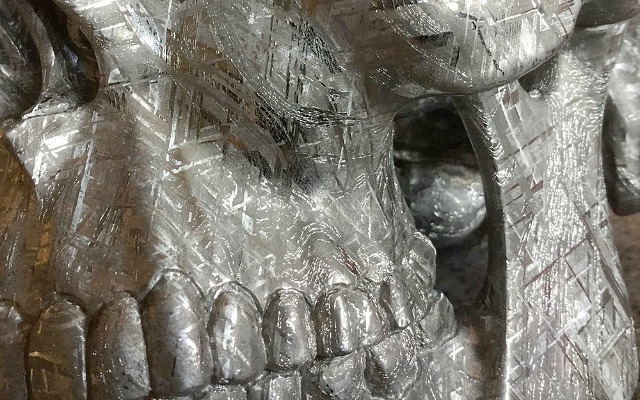 Often I wonder about the material that makes up these metal meteorites...are they normal, or could some of them be made from nano technology? Not all of course, but there is always a chance of such things. 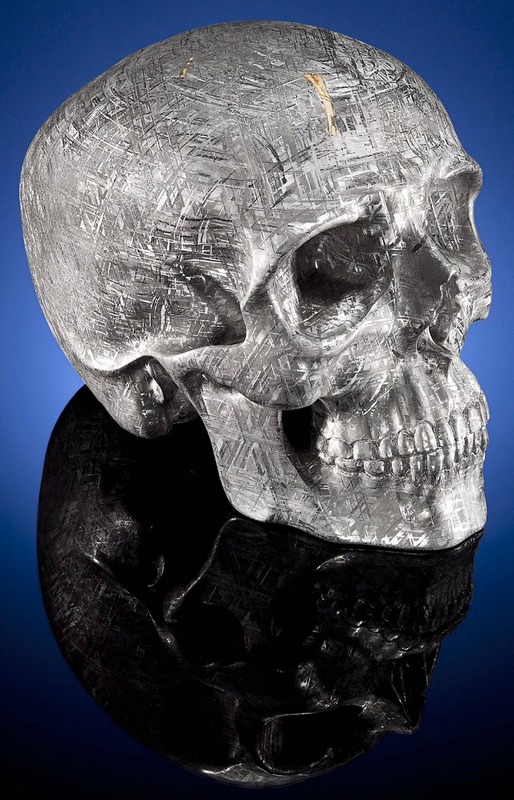 Also note, that the crystal pattern is only seen in meteorites and not seen on minerals on Earth. Like some kind of amazing matrix crystallisation. Anyways, this is cool.